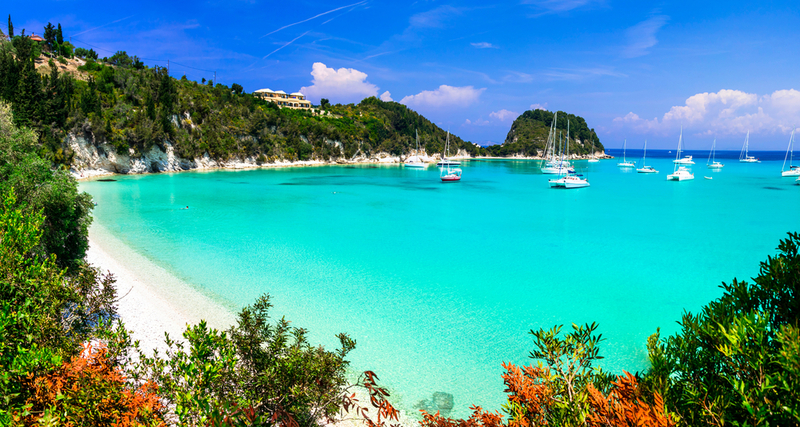 Penelope is located in Loggos on the Greek island of Paxos. This vacation rental property is air-conditioned and sleeps up to 4 people with 1 bedroom, 1 bathroom . The apartment is walking distance to the beach and restaurants. The apartment features a kitchen/diner, bathroom with shower and twin bedroom, and living room with a double sofa bed. If additional beds are required there is 1 double sofa bed. Penelope can sleep up to 4 people. Very good, owners friendly, but doesnt dont re.ally speak to them. Great trip, no problems. Enjoyed the different beaches and hiring the boats to explore the island and visiting anti paxos.It was a nice touch leaving a bottle of wine for when we arrived. We have a great time in Loggos. 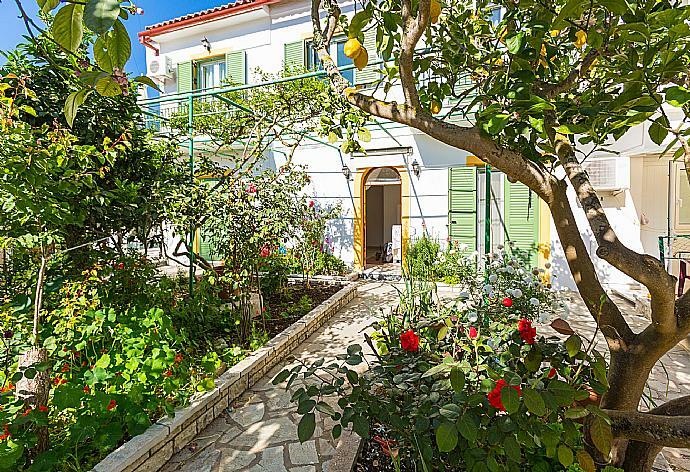 Penelope is a compact little apartment overlooking a very pretty, well kept garden, with a small terrace that gets the sun all day. Clean and freshly decorated, we had fresh towels every couple of days and the beds were comfy by Greek standards, with good bedding. The kitchen and bathroom are basic but fine for what we needed, and for the price paid. Loggos is gorgeous, and the harbour is just a.minuteâ€™s walk away, as are a good little mini market, bars and restaurants. Three good beaches also within walking distance, and the local bus runs three times a day and is great. We managed without a car for most,of our nine day holiday and really enjoyed it. For the most part- another pleasant vacation in Paxos. The lady downstairs was a great host, even though we weâ€™re communicating efficiently. Weather was surprisingly volatile and even hostile at times, but thatâ€™s an element that we couldnâ€™t control. Wonderful place, Agni Travel provides a great service. Communication was the best and the entire process from start to finish was easy. The apartment is very comfortable and so close to the beach. 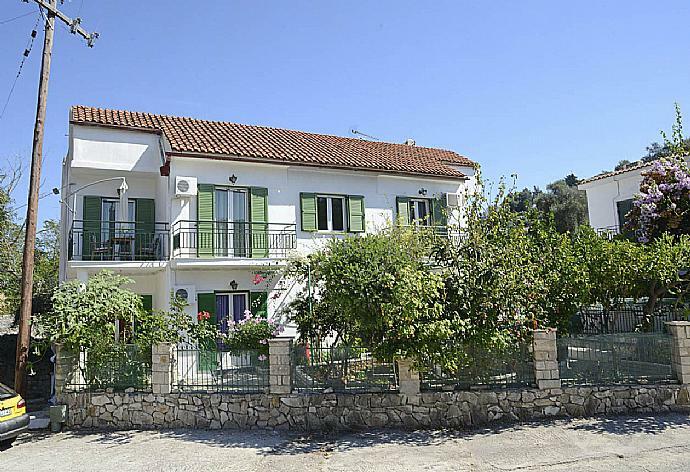 A safe and relaxing place to stay and enjoy Paxos. So many great restaurants and bakeries within short walking distance. Every meal we had was superb. Would stay again without any other consideration. We loved Logos. Off the usual beaten tourist trail! the apartment was great. Clean simple but in a great location. Local bottle of wine waiting for us on arrival!!! Thank you for looking after us. Still had a great holiday. Penelope in a great location. Handy for supermarket bus beaches bars and tavernas. Sunny balcony all day. We had two lovely weeks of rest and relaxation. 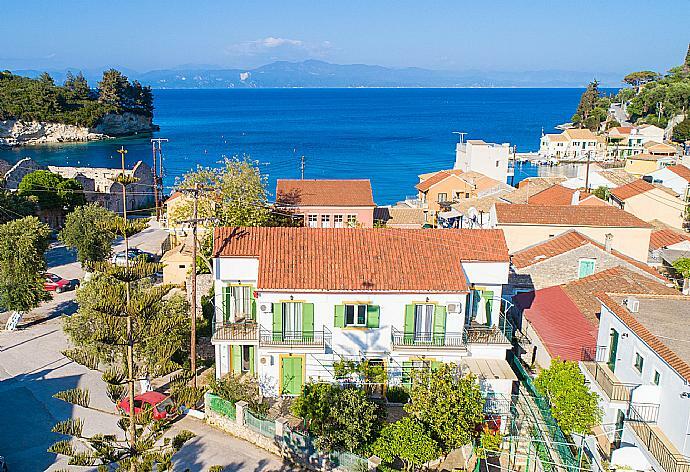 Penelope was in a very convenient location with shops, tavernas and beaches all within minutes of the property. Loggos is a very lovely village and like the rest of Paxos, beautifully tranquil. Looking forward to returning to the island. Was amazed by all the flowers and foliage surrounding the apartments, it was so pretty and the apartment was just fantastic. Much better than staying in a hotel, we will never return to one and are looking forward to working our way through your marvelous portfolio of villas in the Med. Thank you so much. Thank you Agni Travel for a wonderful time. We had such a great holiday in the lovely Paxos. The villa was a home from home. A fantastic holiday had by all. 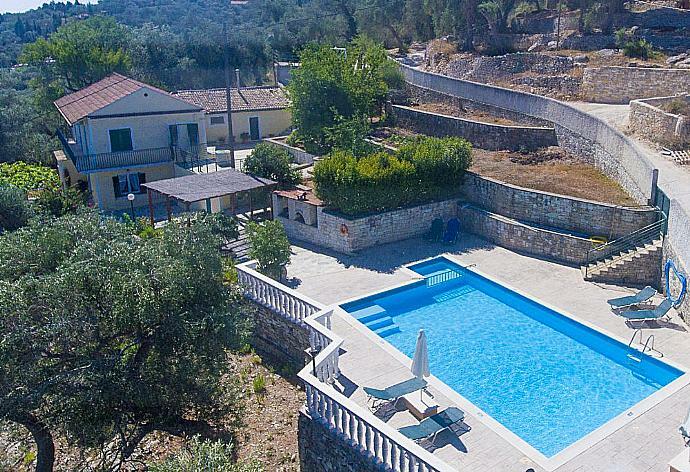 Very please with the villa and the surrounding area. Would be more than happy to book with Agni Travel again.